Helpful tips and information about secure storage. Thanks to the introduction of advanced electronic equipment, secure storage has become more reliable for units holding your personal belongings using smart security measures. For example, a tenant can gain access to their rental unit only by way of a personalized code. Several other security measures are put into place to ensure optimum safety measures. This is great news, as it means you can rely on highly efficient and experienced self-storage providers that know what it takes to accommodate your storage needs with safety measures earlier associated only with high-profile self-storage units. There are different kinds of self-storage options that demand high security levels. You may opt for one or many options for the same storage unit. For instance, a self-storage facility in like Fort Henry Self Storage in Brantford, Southern Ontario may offer climate-controlled storage facilities to protect your valuables from extreme weather conditions. Almost all your storage needs can be accommodated by reputed and secure storage facilities. Personal goods storage—All kinds of personal goods can be stored, irrespective of the size. Storage units have the capacity to store large items in 10’ x 30’ units. All you need to do is decide when you’d like to empty your belongings from a room, attic, or garage into a storage facility. Use this as a makeshift arrangement until you find a new home for your personal belongings. Office items storage—If you are making changes to your office, it’s likely you’ll need more space to make way for new items. However, you may want to plan your office expansion and need temporary storage for your office goods. Storage facilities can help you store inventory, office items, packing supplies, and long-term commercial storage goods. This is a less expensive alternative compared to renting another office location. Also, it is easily possible to locate self-storage near you by going through the Yellow Pages or checking out available options online. Climate-controlled storage—At times, you may have valuables that need to be protected from either hot or cold weather. In both cases, a climate-controlled storage facility is ideal to prevent damage to valuable items such as computer equipment, medicines, DVDs, photographs, and items made of wax or similar materials. Vehicle or boat storage—Vehicles, even the largest you have in your outdoor parking or boating facility, can be shifted to a secure self-storage unit at a nearby location. In the case of an RV, you may want a permanent or long-term solution, which again is possible at these units with 24-hour security measures in place. Whether you’re shifting to Brantford Ontario for its beautiful waterways, or to check out its unique shops, festivals, or events, this city has many hotspots you may want to cover over the long term. If you’ve already decided to move, shifting without pain is not always possible. A move in the right direction is to choose a secure storage facility close to where you’re moving, then set your plan in motion. The first step is to reserve a unit before making your move. It will turn out to be a wise move to ensure your family and you face very little hardship along the way. Depending on whether you’re moving into a rental or a temporary home, an on-site manager from your chosen facility will arrange for a free move-in truck to collect goods from your existing home within the city. If it is not possible to relocate immediately, the manager will recommend a professional mover who may even provide freelance shifting services at highly reasonable rates. Make a list of all the items to be stored. If time permits, segregate them into small and big items with their approximate sizes. Gather up all the newspapers, packing sheets, marker pens, corrugated boxes, and sealing tape that you can find. Start with one room, picking up each item, cleaning it, then labeling it for easy storage. If you have identification tags, stick them onto the item with a reference number. Record these numbers on your list as well. Make sure the items are clean, and keep movable parts with components wrapped in paper or plastic. Move from one room to the other until you have finished cleaning and labelling every item in your home. This simple exercise will help the secure storage facility to provide storage in appropriate batches. Pack heavy items like volumes of books or tools in smaller boxes up to a reasonable weight limit of 25 pounds. This will allow a single mover to carry the package to the truck. Ironed clothes and drapes can be fitted into wardrobe boxes. Pack glassware, lampshades, and fancy display items in clean paper before packing them into a carton. Label these items clearly indicating the type of items packed. A clear message in red like “Glass! Handle with Care!” along with an arrow indicating how the box must be lifted will go a long way in preventing damage during transit. Wrap chair legs in packing paper to protect them from chipping or hitting other items. Upholstered chairs can be covered with plastic sheets or chair covers, if available. Photographs tend to curl or lose shape in time. Just place them between two bounded cardboard sheets to keep them in shape. Prevent rust by oiling metallic items at the joints and screwed portions. Garden equipment like hoes, rakes, and shovels can be stored separately in trash cans. If wooden surfaces are exposed, cover them with polish or a protective coating to enable secure storage for long periods of time. 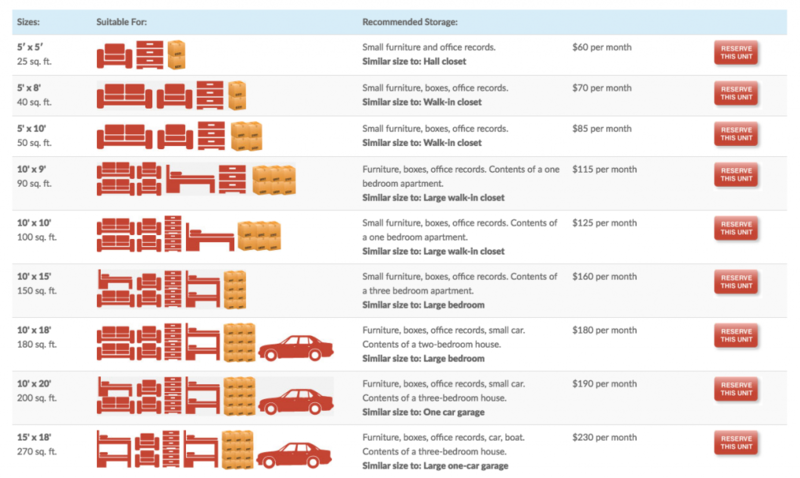 What size storage unit will you need? This is a relevant question, even if you have the actual measurements of all your items put together. Storage units may hold more items than you thought were possible. It’s best to use a storage size calculator—a ready reckoner designed to offer practical advice to customers based on the type of items they wish to store. Here is where the approximate sizes you have listed out will come in handy. Just enter the item and its size into the software, which then calculates and displays the type of matched storage unit. In some cases, you may have to enter the number of bookcases and other portable units along with their estimated sizes in cubic feet. The software takes into account several parameters including the type of goods, storing arrangements and preferences, and type of storage boxes or units used. To give you a fair idea of the type of storage unit required for the different kinds of items in your home, here are some pointers. Personal items, business records, clothes, and children’s items that fit into a small closet can be accommodated into a unit size of 5 ft. x 5 ft. x 5 ft., which is generally a locker. Items fitting into regular closets including personal clothes, children’s items, records, small furniture, etc., can be accommodated into a 5 ft. x 5 ft.² unit of standard height. Items that fit into a room including regular furniture like sofas, mattresses, drawers, and other small items within the room or walk-in closet can fit into a 5 ft. x 10 ft.² unit. A one-bedroom flat with regular furniture and appliances will need a 10 ft. x 10 ft.² storage facility. General furniture, appliances, and miscellaneous items stored in a two-bedroom flat can go into a 10 ft. x 50 ft.² secure storage unit. You can safely add 100 ft.² of storage space per additional bedroom with standard furniture, office supplies, small and large storage racks, commercial storage inventory, appliances, and miscellaneous items. Now that you have planned your move, pack your items into cartons or boxes, then calculate the type of storage unit required. You’re ready to ship the items to your chosen storage unit. Here are some essential storing tips to keep in mind when you’re actually making the shift. If you’re planning to keep items in the storage unit for a long time, it’s best to keep items you’ll regularly need at the front of the secure storage unit to save time. Ensure that packed items in cartons and boxes are loaded onto pallets to prevent damage from moisture or unsecured moving procedures like pushing cartons along the floor. 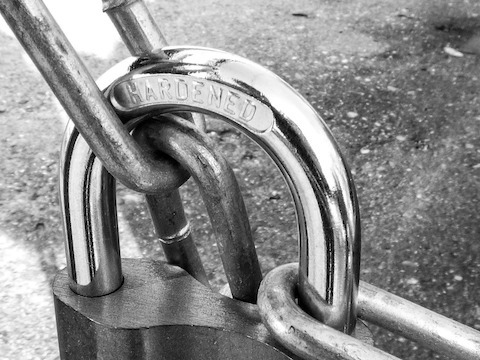 Use high-quality locks on your rented self-storage unit. You can buy them off the shelf from a hardware store, or ask your storage facility manager to recommend the type of lock you’d need for your chosen storage unit and suggest the probably location where you’ll find it. You may have several queries beyond packing and storing. Answers to the most likely queries are given below. Is the facility always open? You may want to access specific items urgently. Gaining access to a facility without prior notice therefore becomes necessary. 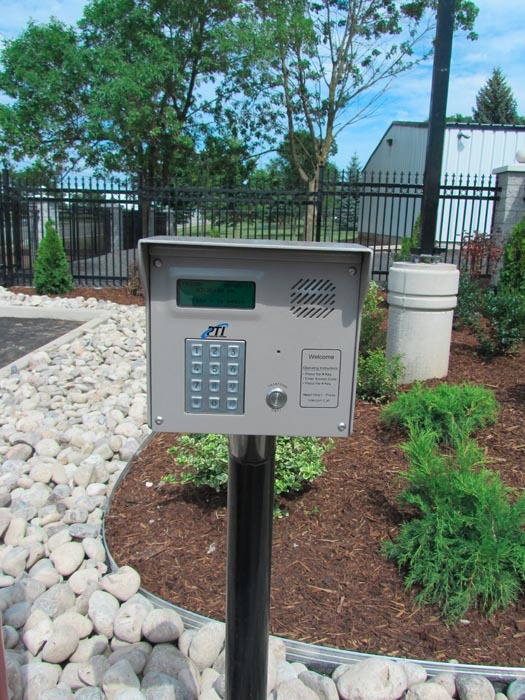 The best secure storage facilities, such as Fort Henry Self Storage, are accessible 24/7 with the help of smart cards. Fort Henry Self Storage uses a secure service provider website with an online booking form and shopping cart to complete rental procedures based on your needs. Your credit card will be automatically charged as per your instructions. You can also process payments by mail or visit the facility in person to complete the transaction. What rental periods can I consider? Normally, there are no fixed contracts or paperwork involved in completing normal transactions. Leases can operate from 1 month to the other with a fixed cut-off period to facilitate auto payments. What is the notice period before I move out of the storage unit? Operators may decide on a minimum notice period before you can move out of your rented storage unit. It could be a 10-day written notice. The period may vary depending on the type of unit you have rented. If this article addressed your concerns about shifting to a new location, you now have access to a secure solution. Consider Fort Henry Storage in Brantford if you’re looking at a storage facility at a convenient location. If you choose self- storage nearby, it should be reachable from your home or office. Whether it’s relocating to a new home in a city like Brantford Ontario, or a temporary location within the city, the process of finding a secure storage facility remains the same. There is always the need to check one of those beautiful outdoor locations around your city. Maybe you need a temporary self-storage facility along a river to windsurf, go river rafting or kayaking. The need to find a storage unit for a few days or even for the holiday season may lead you to find a mini storage unit that suits your specific needs. Any storage solution that can be booked online and quickly is a good solution. Thanks to innovative packers and storage facilities, you have access to smart technology that is programmed to automatically provide you access to your booked storage solution and even auto admit you through the main gate of the facility. Opt for a smart card, and as a tenant, you will have can access to your booked storage solution without needing any assistance. Punch in the right code into the digital lock. You probably have around 10 minutes to open your security storage unit door. Even if you change your mind and choose not to store your items in that facility, it will self-lock to prevent access. You can use the same smart card when visiting the facility again. The expiry date on your smart card determines when you need to renew your rental, or else you will lose access. There are no contracts or conditions beyond the period you choose to book your rental. Self-storage units are highly organized and will allocate a rental safe box with smart card within minutes of you completing the booking transaction. So, the next time you choose to shift or need to picnic at an outdoor location, just make a call to the nearest self-storage unit or book online. Fort Henry Self Storage – Featured On Storage Wars Canada! Outdoor Winter Parking Available For All Vehicles! Second Facility Coming Summer 2018!